Ready to celebrate? Saturday, January 17, is the birthday of none other than Michelle Obama! 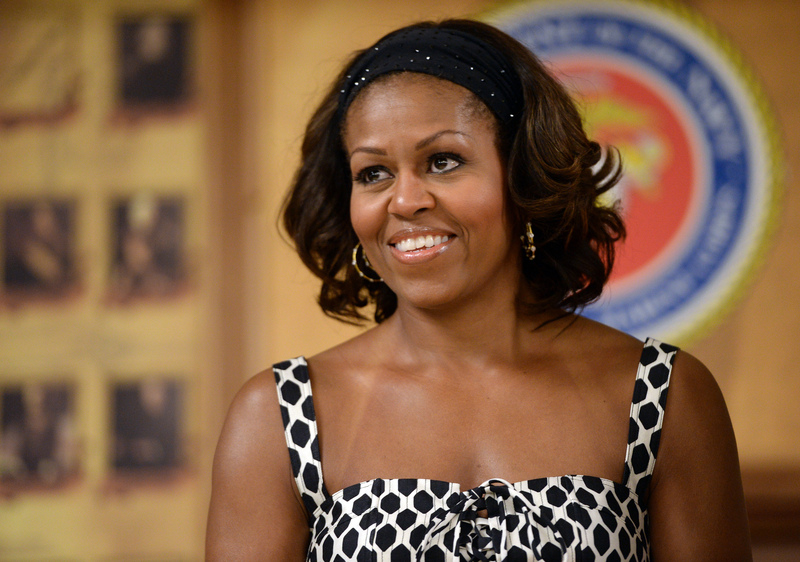 The First Lady of the United States turns 51 years old, as yet another year slowly slides into the rear-view mirror. And, simply put, we feel like sharing some love. So, happy birthday Michelle! And what better way to fête the occasion than by looking back at some of the moments that made us love her? They're not in especially short supply, make no mistake — both in terms of pop-cultural cache and the public stands she's taken, she's been a dynamic and hugely appreciated presence in Washington over the last six years. She's also inspired a fair amount of vitriolic backlash, which can't be overlooked — just as with her husband, there are some people who can't help but sneer at even the most benign, apolitical messages the First Family has decided to broadcast. Sadly, if you made a Venn diagram of "things conservatives hate about Michelle Obama" and "things fair-minded people like about Michelle Obama," you'd likely find a ton of overlap. But, then again, what's that old line about not pleasing everybody all of the time? Right, you can't do it. Here are a few of the moments that Michelle Obama has really shone over the last several years, and we hope there'll be many more to come. Since becoming First Lady back in 2009, Michelle Obama has focused on a number of ostensibly non-partisan issues, her advocacy for the families of American servicemembers being a prominent example. In April 2014, she announced the launch of the Philanthropy-Joining Forces Impact Pledge, alongside her fellow executive-branch spouse, Dr. Jill Biden. The initiative united over 30 institutions in pledging to raise over $100 million to aid the families of the American military, a profoundly worthy cause — whether enduring the absence of a parent or spouse during deployment, or helping to smooth a potentially tumultuous transition back into civilian life, this is a crucial and humane helping hand. There's maybe no simpler example a non-political, quality-of-life enhancing effort Michelle Obama's made over the last six years than her campaign against childhood obesity, Let's Move! And, frankly, there's no other area where the protestations of some conservative critics seem more frenzied and inane. Somehow, they read something controversial and offensive into the First Lady's pitch that kids should get more exercise, eat healthier when they can, and develop positive habits around nutrition — all pretty first-rate ideas, given a country with spiraling levels of childhood obesity. And yet, some people can't resist heaping dirt on a cause that truly ought to be regarded in a universally positive way. Former vice presidential candidate and inarticulate internet personality Sarah Palin, for example, who in 2010 delighted in mocking her nutritional advice, because... she's a Democrat? That's always the reason, I guess. Hats off to Michelle for ignoring the haters on this one — if some children or families turned their young lives around thanks to her efforts, however few, that's a truly wonderful thing. There's no denying that this one carries a measure of sadness and unfulfilled promise, because the girls in question — over 200 Nigerian schoolgirls kidnapped by Islamic militant group Boko Haram, to be specific — are still largely unaccounted for, with recent reports painting a truly horrifying picture. But it was nonetheless stirring to see the First Lady jump into the fray of online activism on this one, posting a photo of herself, somber-faced, with a simple plea: "Bring Back Our Girls." It also inadvertently highlighted the ceaseless, reactionary opposition machine that exists across social media, as many people crudely photoshopped her image into any number of crude, inflammatory messages. It also provoked virulent conservative personality Ann Coulter to try a cheeky rebuttal of her own, which didn't exactly end well.